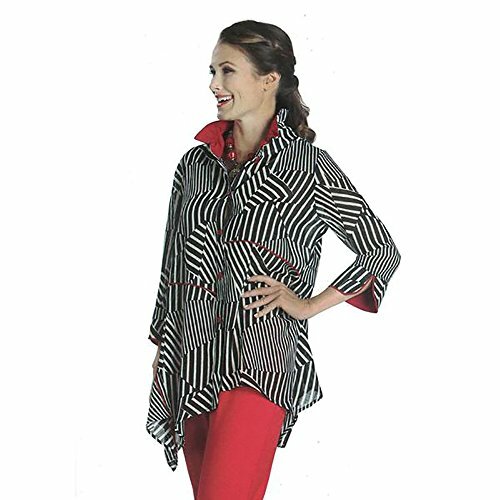 IC Collection Striped Handkerchief Hem Blouse in Black, White & Red- 1118J (XL) by IC Collection at SCRHI. Hurry! Limited time offer. Offer valid only while supplies last.